[S937] Michael N. O'Connor of Waterford Heritage Services, "Family of Origin Research For John Healy and Margaret Lehane", Ann Hely, baptized 12 November 1882. Original source: Clashmore Baptism Register, 1845-1892, Page 452. Birth: Anne Healy, 11 November 1882. Original source: Clashmore Birth Register, Book 4, Page 98. [S284] George A. Driggs, 1910 United States Federal Census, New Haven, Connecticut, population schedule, Waterbury, ED 470, sheet 11B, dwelling 176, family 278. [S285] John Murphy household, 1920 United States Federal Census, New Haven, Connecticut, population schedule, Waterbury, ED 490, sheet IA, dwelling 4, family 6. [S1586] District Court naturalizations, 28 January 1928, Waterbury, New Haven, Connecticut. [S286] John F. Murphy household, 1930 United States Federal Census, New Haven, Connecticut, population schedule, Waterbury, ED 230, sheet 11B, dwelling 167, family 251. [S1305] John Murphy household, 1940 United States Federal Census, New Haven, Connecticut, population schedule, Cheshire, ED 5-30, sheet 5A, number of household 102. [S464] Mass Card, Annie Murphy, 28 May 1959. [S819] Annie Murphy's Death Certificate, 28 May 1959. [S157] CT Death Index, 1949-2012, Annie H. Murphy, State File #09622, 28 May 1959. [S937] Michael N. O'Connor of Waterford Heritage Services, "Family of Origin Research For John Healy and Margaret Lehane", Ann Hely, baptized 12 November 1882. Original source: Clashmore Baptism Register, 1845-1892, Page 452; shows the father of Ann Hely as John Hely. Birth: Anne Healy, 11 November 1882. Original source: Clashmore Birth Register, Book 4, Page 98; shows the father of Anne Healy as John Healy. [S185] The Waterbury Republican, May 29, 1959, obituary shows Annie as the daughter of John Healy of Ireland. [S819] Annie Murphy's Death Certificate, shows father as John Healey. [S937] Michael N. O'Connor of Waterford Heritage Services, "Family of Origin Research For John Healy and Margaret Lehane", Ann Hely, baptized 12 November 1882. Original source: Clashmore Baptism Register, 1845-1892, Page 452; shows the mother of Ann Hely as Margaret Lehan. 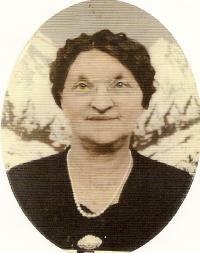 Birth: Anne Healy, 11 November 1882. Original source: Clashmore Birth Register, Book 4, Page 98; shows the mother of Anne Healy as Margaret Leehan. [S185] The Waterbury Republican, May 29, 1959, obituary shows Annie as the daughter of Margaret Lehan Healey. [S819] Annie Murphy's Death Certificate, shows mother as Margaret Lehan. [S937] Michael N. O'Connor of Waterford Heritage Services, "Family of Origin Research For John Healy and Margaret Lehane", Birth: Anne Healy, 11 November 1882. Original source: Clashmore Birth Register, Book 4, Page 98. [S771] 1901 Census of Ireland, Waterford County, Town of Drumgullane, Ireland. [S668] Annie Healy, S.S. Celtic Passenger and Crew Lists of Vessels Arriving at New York, 2 April 1902; Microfilm serial: T715, shows age 20 originally, but then that was crossed out and above it written 22., Microfilm Roll:T715_553as viewed on Ancestry.com. [S185] The Waterbury Republican, May 29, 1959. [S186] Interview, Eileen Murphy Habelka, 1998. [S668] Annie Healy, S.S. Celtic Passenger and Crew Lists of Vessels Arriving at New York, 2 April 1902; Microfilm serial: T715, shows last residence as Youghal, Ireland, Microfilm Roll:T715_553as viewed on Ancestry.com. [S668] Annie Healy, S.S. Celtic Passenger and Crew Lists of Vessels Arriving at New York, 2 April 1902; Microfilm serial: T715, Microfilm Roll:T715_553as viewed on Ancestry.com. [S284] George A. Driggs, 1910 United States Federal Census, New Haven, Connecticut, population schedule, Waterbury, ED 470, sheet 11B, dwelling 176, family 278, shows immigration year of 1905. [S285] John Murphy household, 1920 United States Federal Census, New Haven, Connecticut, population schedule, Waterbury, ED 490, sheet IA, dwelling 4, family 6, erroneously shows 1907. [S286] John F. Murphy household, 1930 United States Federal Census, New Haven, Connecticut, population schedule, Waterbury, ED 230, sheet 11B, dwelling 167, family 251, erroneously shows 1907. [S668] Annie Healy, S.S. Celtic Passenger and Crew Lists of Vessels Arriving at New York, 2 April 1902; Microfilm serial: T715, shows that Annie was going to live with her sister, Mary and it gives Mary's address as 136 R.R.Hill, Waterbury, Conn, Microfilm Roll:T715_553as viewed on Ancestry.com. [S285] John Murphy household, 1920 United States Federal Census, New Haven, Connecticut, population schedule, Waterbury, ED 490, sheet IA, dwelling 4, family 6, shows wife. [S286] John F. Murphy household, 1930 United States Federal Census, New Haven, Connecticut, population schedule, Waterbury, ED 230, sheet 11B, dwelling 167, family 251, shows age at first marriage was 25 years old. [S185] The Waterbury Republican, May 29, 1959, obituary shows that Annie was married to John F. Murphy. [S157] CT Death Index, 1949-2012, Annie H. Murphy, State File #09622, 28 May 1959,shows spouse as John Murphy. [S157] CT Death Index, 1949-2012, John F. Murphy, State File #12117, 8 June 1962,shows spouse as Annie. [S819] Annie Murphy's Death Certificate, shows marrried to John F. Murphy. [S60] Waterbury Connecticut Street Directory, 1927; John J. (Annie J.) Murphy; Section M, Page 421; shows his residence. [S819] Annie Murphy's Death Certificate. [S279] Waterbury Republican, 25 April 2007. [S1305] John Murphy household, 1940 United States Federal Census, New Haven, Connecticut, population schedule, Cheshire, ED 5-30, sheet 5A, number of household 102,shows mother of Thomas Murphy as Annie Murphy. [S465] The Waterbury Republican, 22 March 1986. [S185] The Waterbury Republican, May 29, 1959, obituary shows Thomas F. Murphy as her son. [S1305] John Murphy household, 1940 United States Federal Census, New Haven, Connecticut, population schedule, Cheshire, ED 5-30, sheet 5A, number of household 102,shows mother of John Murphy as Annie Murphy. [S185] The Waterbury Republican, May 29, 1959, obituary shows John J. Murphy as her son. [S245] The Waterbury Republican, 1994 November. [S466] Henry F. Murphy entry, Birth Certificate (18 September 1918). [S185] The Waterbury Republican, May 29, 1959, obituary shows Andrew Murphy as her son.